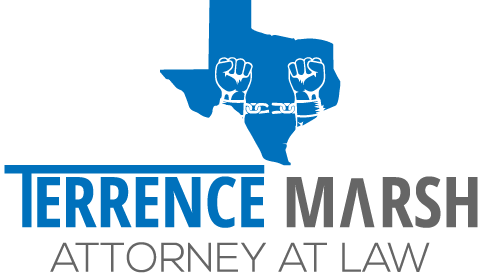 You’re probably here either because you want to know more about criminal law or because you or someone you care about has been arrested in the Greater Austin area and needs a criminal defense lawyer. I know you’re scared, worried about your future or theirs, and you have a thousand and one questions running through your mind. Getting arrested is a big deal. It can have long lasting effects on your life. If they’re still in jail and you’re mostly worried about getting them out as soon as possible, skip below. Is that person still in jail? Do you want to get them out of jail? Let’s get started putting some of your fears at ease and give you a little road map of what to do. If that person is still in jail, start reading here: My son is in jail, what next? What happens after jail? What’s going to happen with my case? Next, we can talk about coming into my office for a consultation on your case. We will talk about the cost you can expect to pay for me to defend you in Court. Many clients have told me that knowing a rough ballpark of the costs before coming in removes a lot of the sting and surprise of choosing to hire me. I don’t want to surprise clients at the end of a consult with my proposed fee. It’s almost like car shopping and not knowing how much the car costs until just before you sign on the dotted line. Wow! I wasn’t expecting to spend that! When you work with me, I want you kept up to date every step of the way. I wouldn’t want that surprise sprung on me and I won’t do it with you. After you choose to hire me, we can get started on your defense. In the Blog section of my website I’ve tried to write about the most common questions that clients have for me. While it isn’t really an FAQ section, I’ve written it to help give you the “bigger picture.” Other clients that have read my Blog have found it helpful and it has answered a lot of their questions. Also, a short list is written below of the criminal cases I accept. My goal is to give you an overview of the criminal justice process from the very beginning at the time of arrest. I like to set expectations right off the bat, from day one, with all of my clients. You will know what to expect from me and I will know what to expect from you. I don’t promise dismissals. Why? I don’t make promises I can’t keep. We need to be on the same page if you want me to help you as best as I can. We’re going to be building an attorney-client relationship. It is confidential and protected by the law. If you know what to expect from the very beginning, I can help minimize the surprises that will come up. A good amount of my job will be removing the fear of the unknown for you. Why does this all of this matter? You will feel more comfortable about what’s going on with your case and you’ll know what to expect along the way. On the days you have Court, I’ll show up with you. You can be sure that I know your face, know your name, and have reviewed your case. I won’t shout your name in the courtroom. Why? Because I wouldn’t want that done to me. Being in Court will be embarrassing enough. I won’t put your name on blast for the whole world to hear. When you have questions about what’s going on and the process, I’ll explain them. When there is news on your case, you’ll get a phone call from me personally. I’ll be there to hold your hand through the process and help get this put behind you as soon as possible. What criminal charges do I work on? What Courts do I go to? Criminal defense is a complicated area of law. I’m admitted in Texas State Courts, as well as Federal Court, in the U.S. District Court Western District of Texas. The areas that I work in are mostly Williamson and Travis Counties. These cities include Georgetown, Austin, Round Rock, Cedar Park, Pflugerville, Hutto, Leander, and Taylor to name a few.